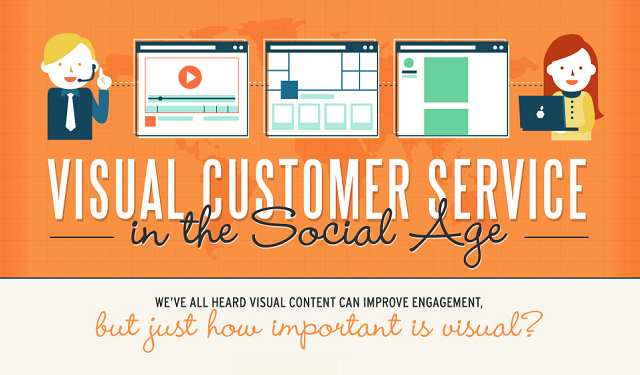 This infographic from TollFreeForwarding, visualizes how companies are using social media sites (especially YouTube, Instagram and Vine) to provide guidance to their customers, and looks at why visual customer service is important in the social age. 1. keep pictures and videos of products up-to-date. 2. provide a steady delivery of valuable content. 3. Be creative and make an impression with your social content. 4. Create a platform for customers to contact you. 5. Engage and build relationships with your customers. 6. Enable your most loyal fans to respond to customer queries, as well. 7. Stay Committed to answering customer questions.